And no one does deep carry pocket clips quite like SOG. That being said, the clip does come a little tight for my liking, but over time it did start to loosen up after I carried it regularly. All of these features that make the Flash II so versatile were things I had recently avoided, mainly because the amount of variety in the knife world is almost never ending. Over the years, the research has become one of the more interesting and most fun aspects of buying knives. Experimenting with one’s personal EDC is where this lifestyle brings me the most joy. Trying out different carry methods, along with the integration of new tools, makes perfecting your EDC a small but very satisfying feeling. The SOG Flash II, coupled with a Streamlight MicroStream, a Maxpedition Wallet, and a small first aid kit, is what I ended 2015 with. Packing these compact but useful items with me every day has made my life run just a little smoother. Even after taking in all the differing opinions about this knife, the Flash II has exceeded expectations. Although it might not be something diehard members of the knife community usually carry, I believe the Flash II is possibly the best entry-level tactical blade on the market. 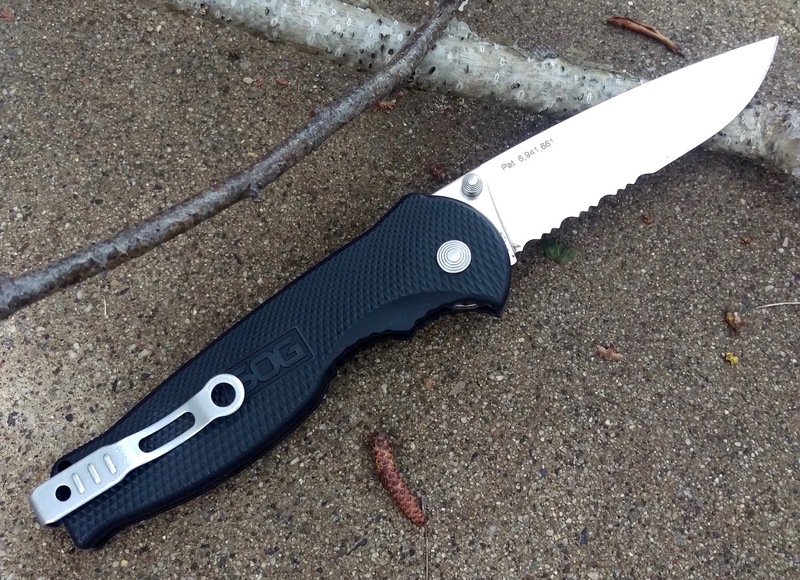 Beau Shelton is a contributor to Knife Depot and writes reviews for his site Knife Points. You can find him on Instagram and listen to his pocket knife podcast on The Stallion Radio Network. I love the Flash ll even more than the original. I’ve carried one off and on since its release and it’s been my EDC for a year or so. I liked the ll so much I bought a second one and havent had to sharpen either in multiple months of daily use. I, too have carried a Flash II (plain edge) for some time and , as someone who carries 5 knives with me at any given time, I find myself reaching for the SOG more than any other. I live in Ontario , Canada, in a very rural location, which means I have never been challenged by the police for clanking about with my little arsenal-zombies, beware!! 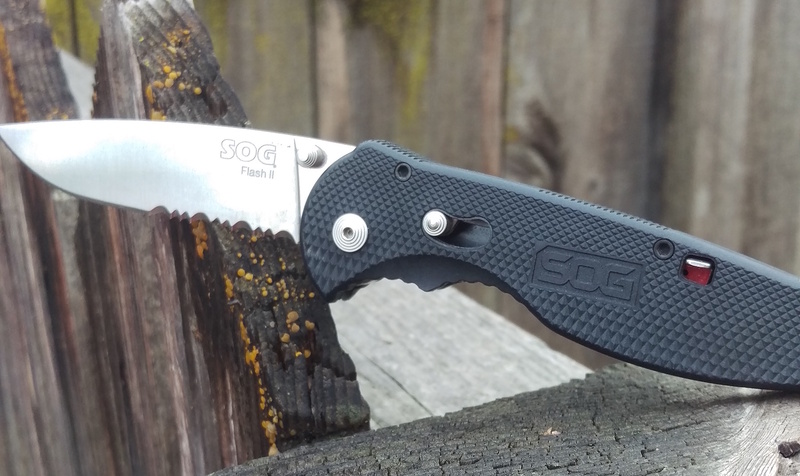 I use my SOG several times every day and love everything about -how it cuts, how it opens and closes, how it fits in the hand-this little knife feels so good I have often just sat holding it and rolling it back and forth in my palm. It’s negligent weight is almost magic–I have seldom felt a knife that feels so good. As I have been writing I have been wracking by brain to say there is one single thing I think could be improved , but right now I cannot think of one single thing. This is one of those rare knives that seem to constantly endear themselves to you the more you use -cancel that-handle them. SOG has created a masterpiece-again. 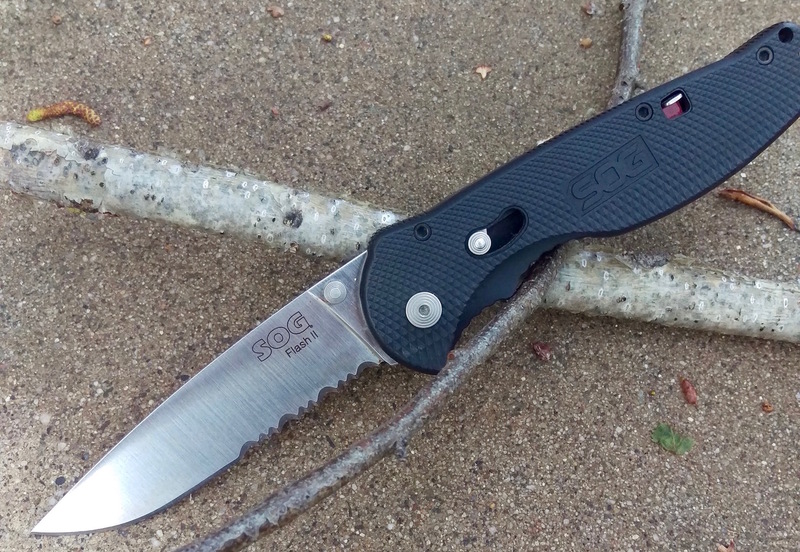 Nice review of the SOG Flash tactical knife! I, like the other commetors believe that SOG makes a superior knife. The Flash is another great knife. The sog ll is a very good edc I’ve had mine for a few years and I love it.